Run wild in the rugged Brooks Women's PureGrit 4. 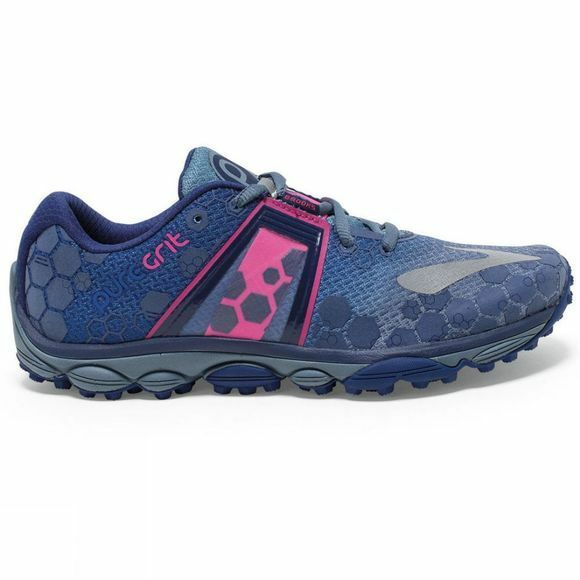 Blending the secure grip of climbing shoes with the comfort of lightweight running shoes, they connect you to the terrain and protect you from its tricky elements. Aggressive hex lugs on the outsole provide maximum grip and the ballistic rock shield protects your foot from trail hazards. A toe guard provides protection and added traction when the trail gets steep. 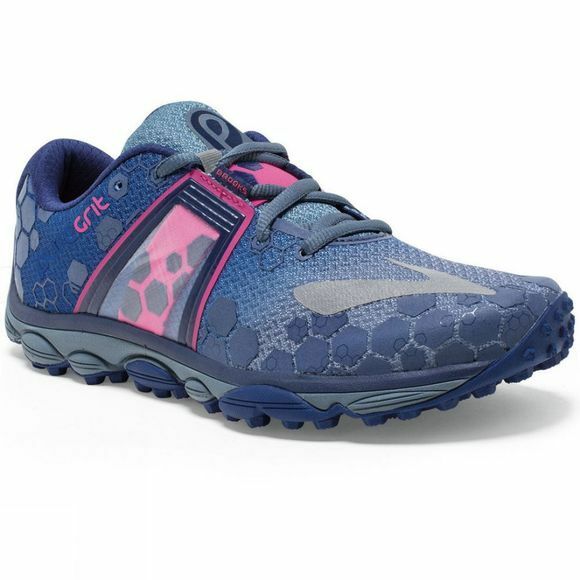 Specifications: Shoe Category: Trail Ideal Use: Trail/Fell Running Weight: Approx. 232 grams Glossary: Brooks DNA: Brooks DNA is a cushioning material that provides a customized ride for runners of all sizes and speeds. Working with BioMoGo, Brooks DNA responds to your every step, dispersing impact and providing ideal comfort and protection as the pace changes. 3D Hex Lugs: Aggressive 3D hex lugs on the outsole provide maximum grip and the ballistic rock shield protects your foot from trail hazards. Ballistic Rock Shield: Toughened thermoplastic EVA sheath between the outsole and midsole protects the forefoot by spreading out point loads from sharp objects. Rounded Heel: The slight curve of the heel aligns force through the center of your ankle joint, reducing internal stress on your body.